Two cousins + one radiation accident = the ability to see and manipulate atoms like never before. Suzie and Diego become two unlikely superheroes, determined to save the world from a monster created by the same thing that gave them powers. 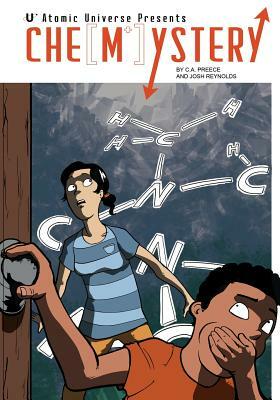 NGSS compliant and classroom-friendly for teachers, yet monster-filled and superpower-fueled for teen readers, CheMystery offers a superhero tale with a mystery that only science can solve.